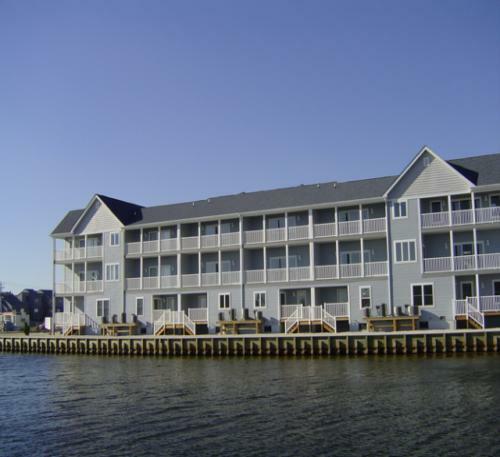 Fenwick Island Vacation Rental – 39046 Beacon Road, Lighthouse | Fenwick Island Fenwick Island Rentals. 39046 Beacon Drive, Lighthouse View-Fenwick Island Bayside, 4 bedroom, 3.5 bath professionally decorated townhome with beautiful water views. 2 Master suites with king size beds, wired and wireless hi-speed internet connection, 4 TV's--(3 of 4 bedrooms have TVs), Surround sound in living room. Digital cable TV, PS2 Playstation. Pool. All just a short walk from Fenwick's beautiful beaches, 3 miniature golf courses, restaurants, movie theater & Fisher's Popcorn. 1 King, 1 King, 1 Queen, 2 Twins, 1 Queen Sleeper. No smoking, No pets Occupancy 10. This home was very clean and the floors are beautiful. The master bath was better designed and more spacious than others where we have in this development. The pool is small but nice. This property is walking distance to many restaurants and shops, but the road is very busy and there is no sidewalk in some places. The Walgreens next door is now a furniture store. When we arrived, the parking lot was completely full, even though our agreement said we would have 2 spaces. We had to park our second vehicle in front of another property’s garage. The biggest disappointment was that our garage was not accessible. Our agreement did not mention this. We had to store all of our beach stuff in the house. The house was very nice and spacious. We enjoyed our stay there very much!! We loved the rental and have stayed there twice in the last year. It is very spacious and the beds are very comfortable. The location is in walking distance to shops, restaurants, the beach and a Walgreens! I'm glad you enjoyed your stay and we look forward to seeing you again. Thanks for submitting a view for this property.